Definition: Gentamicin, sold under brand names Garamycin among others, is an antibiotic that fights bacteria. This may include bone infections, endocarditis, pelvic inflammatory disease, meningitis, pneumonia, urinary tract infections, and sepsis among others. It is not effective for gonorrhea or chlamydia infections. It works by stopping the growth of bacteria. Gentamicin may also be used for purposes not listed in this medication guide. Gentamicin can be given intravenously, by injection into a muscle, or topically. Topical formulations may be used in burns or for infections of the outside of the eye. In the developed world it is often only used for two days until bacterial cultures determine what antibiotics the infection is sensitive to. The dose required should be monitored by blood testing. Gentamicin can harm our kidneys, and may also cause nerve damage or hearing loss, especially if people have kidney disease or use certain other medicines. If used during pregnancy it can cause harm to the baby. It appears to be safe for use during breastfeeding. Gentamicin is a type of aminoglycoside. It works by stopping the bacteria from making protein, which typically kills the bacteria. 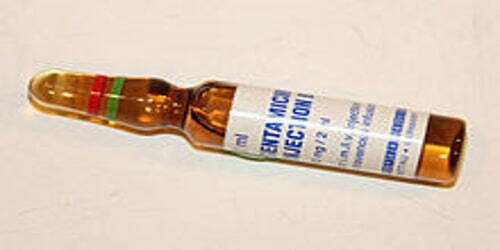 Gentamicin was discovered in 1963. It is made from the bacteria Micromonospora purpurea. Gentamicin is on the World Health Organization’s List of Essential Medicines, the most effective and safe medicines needed in a health system. It is available as a generic medication. The injectable’s wholesale cost in the developing world in 2014 was between US$0.05 and US$0.58 per ml. 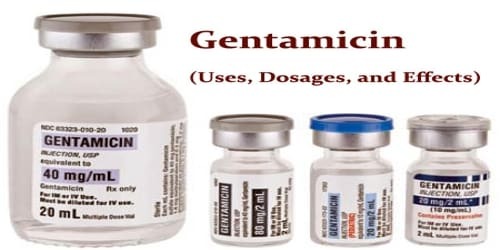 Uses and Dosages of Gentamicin: This medication is used to treat minor skin infections (such as impetigo, folliculitis) or minor infections related to some skin conditions (such as eczema, psoriasis, minor burns/cuts/wounds). Gentamicin works by stopping the growth of certain bacteria. It belongs to a class of drugs known as aminoglycoside antibiotics. There is insufficient evidence to support gentamicin as the first line treatment of Neisseria gonorrhea infection. Gentamicin is also useful against Yersinia pestis, its relatives, and Francisella tularensis (the organism responsible for Tularemia seen often in hunters and/or trappers). Do not use gentamicin if women are pregnant. It could harm the unborn baby. Use effective birth control to prevent pregnancy during treatment. It is not known whether gentamicin passes into breast milk or if it could harm a nursing baby. Women should not breast-feed while using this medicine. Gentamicin is usually the first-line aminoglycoside against infections with gram-negative organisms such as Pseudomonas aeruginosa, Proteus, Escherichia coli, Klebsiella, Enterobacter, Serratia, and Citrobacter, as well as against Staphylococcus (gram-positive). 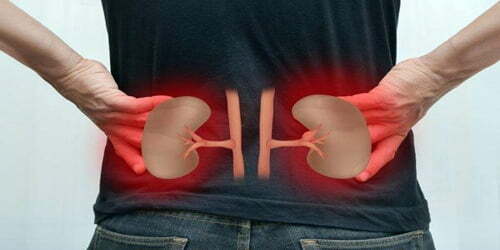 Gentamicin can harm our kidneys. This effect is increased when people also use certain other medicines, including: antivirals, chemotherapy, injected antibiotics, medicine for bowel disorders, medicine to prevent organ transplant rejection, an injectable osteoporosis medication, and some pain or arthritis medicines (including aspirin, Tylenol, Advil, and Aleve). Rarely, use of this medication for prolonged or repeated periods may result in other types of skin infections (such as fungal or other bacterial infections). Contact the doctor if people notice any unusual skin symptoms or if their condition does not improve.